However, there are many who seemingly could not accept the SC verdict. Recently, the administration of the National Institute of Technology, Calicut, denied permission to hold a lecture on the LGBTQ. Directing the organisers to cancel such events, the administration said, “such lectures will have a negative impact on the society”. The talk titled “Visibility of LGBTQ + Community” was organised by I-INK, an art club in the campus. 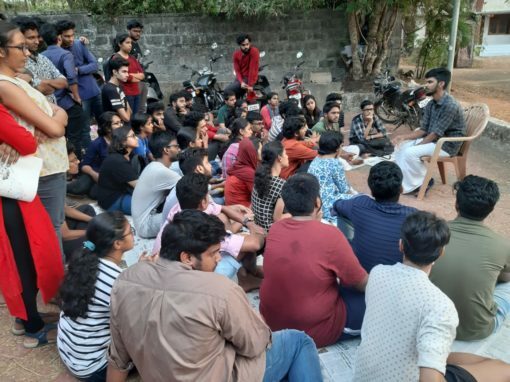 The organisers of the lecture scheduled to be held on 12 February, had invited Muhammed Zuhrabi, a graphic designer and LGBTQ activist based in Kerala, as the speaker. When organisers of the event approached the Dean seeking permission for the programme and venue, the administration refused to grant permission. Turning them down, the university authority said “are you trying to turn everyone in the campus gay?”. Mocking the organisers, the administration also said that the students have come here to study engineering and should be focussing on their studies. The administration also told them that they cannot bring outsiders as speakers in the campus. This is the second time in the past two months that the administration has denied permission to the programmes conducted by the students. On Rohith Vemula’s third death anniversary earlier in January, the students of the campus organizesd a screening of Deepa Dhanraj’s documentary, We Have Not Come Here to Die. The screening was interrupted in the middle by administrative officials. Later on, following students protest, the authorities were forced to screen the documentary. In a similar incident, the same administration also denied permission to conduct “Arpo Arthavam”, a programme in solidarity with the Sabarimala judgement and on breaking the taboos on menstruation. The administration directed the students to conduct more “creative and positive” lectures.